I recently received a new debit card and it was so cool they had tons of designs to pick from, so NO MORE bank on my card!! It has a Visa logo so it was accepted everywhere. I chose the Antigua & Barbuda flag, they have school teams, cartoon characters you name it they have it. 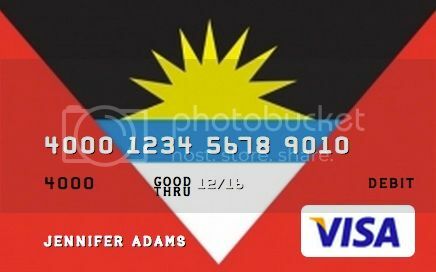 Please visit https://www.card.com/?afid=178 and get your CARD today!! You can tweet them any new ideas you have for cards. If you decide to get one of these cards please let me know.